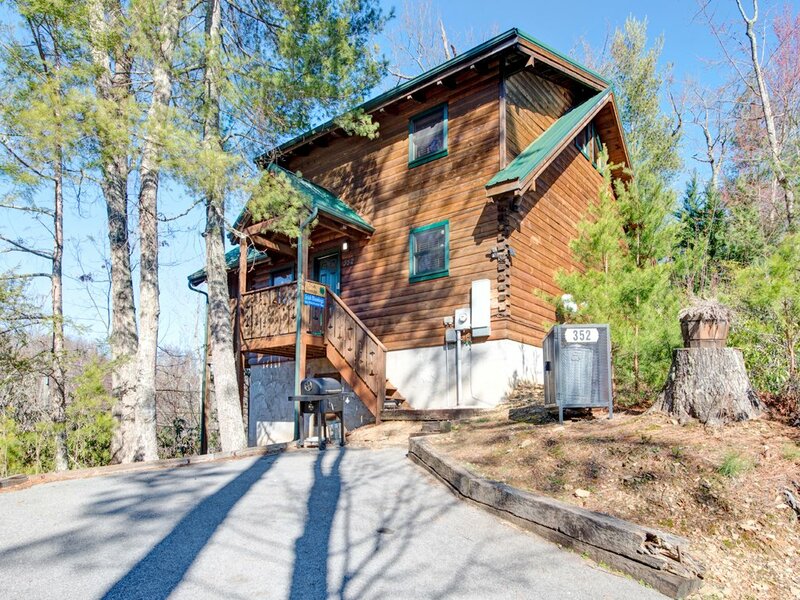 Irish Blessings is less than 20 minutes from the major attractions of both Gatlinburg and Pigeon Forge. 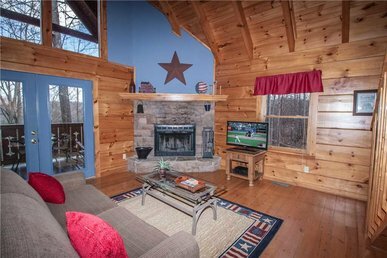 But there’s plenty to keep the whole family entertained without leaving the cabin, including an outdoor hot tub, a foosball table, an indoor jetted tub, and free WiFi. 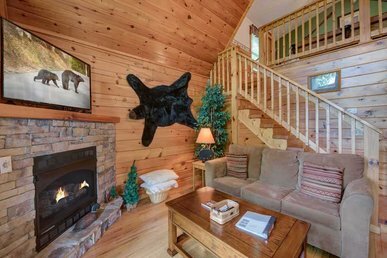 Irish Blessings can sleep up to 6 people. 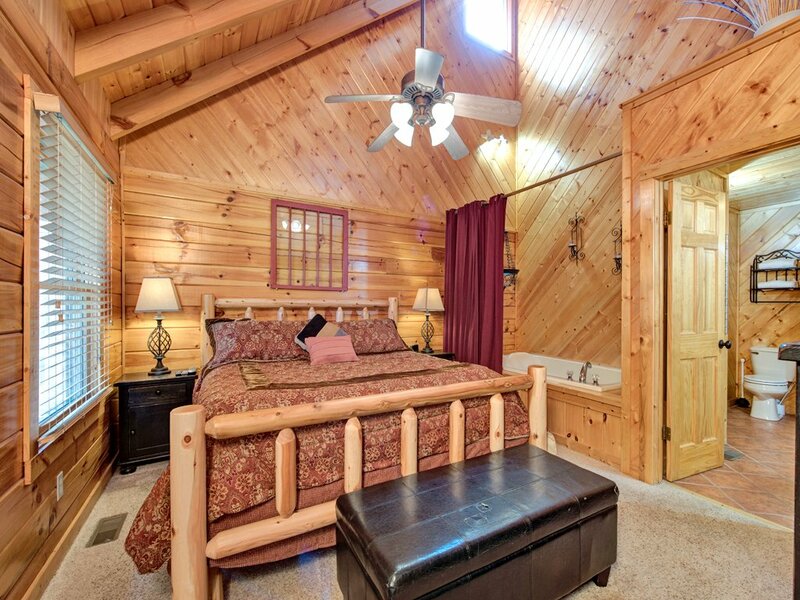 The master suite epitomizes cabin style with all sorts of modern comforts. Nightstands with lamps flank the king-size bed so that one of you can read while the other goes to sleep. 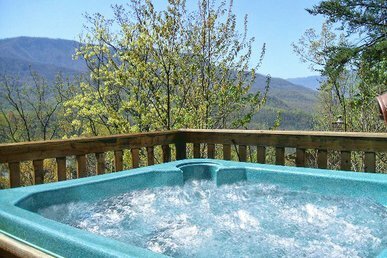 Other features include a flat-panel TV, expansive windows that let in plenty of morning sunlight and evening breezes, and perhaps best of all, a jetted tub right in the privacy of your room. 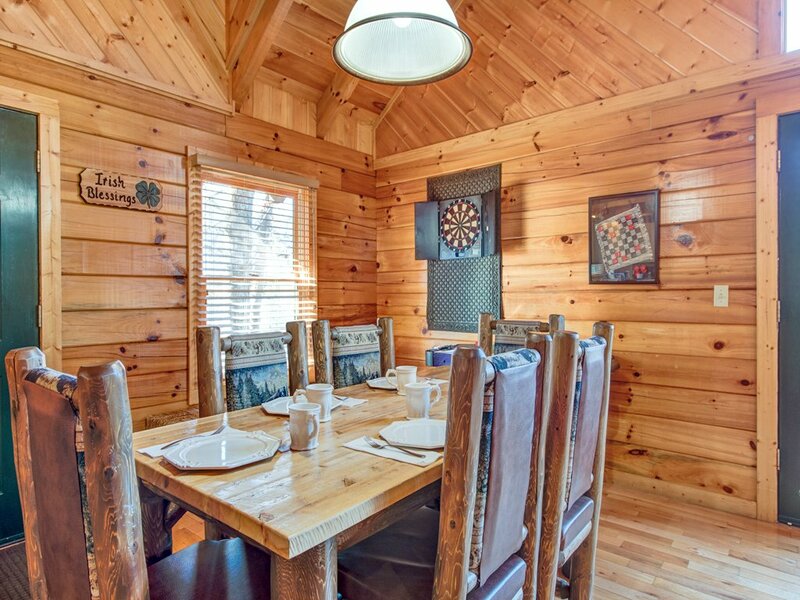 When you're in need of some quiet time, you'll know exactly where to go! 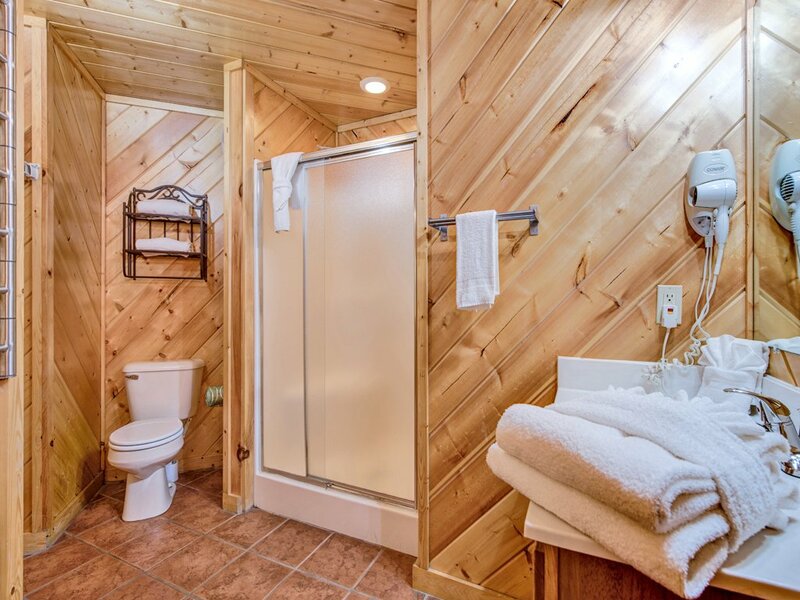 Prefer showers? 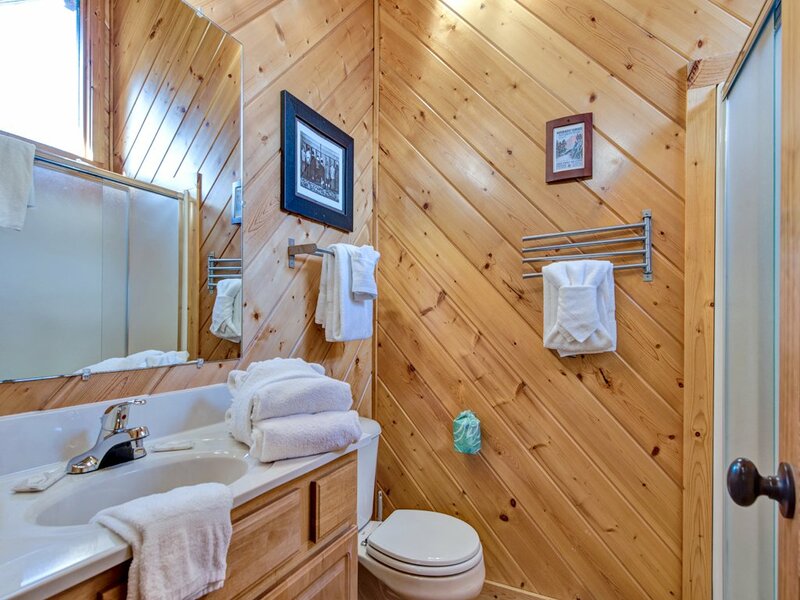 The master bath has one of those too. 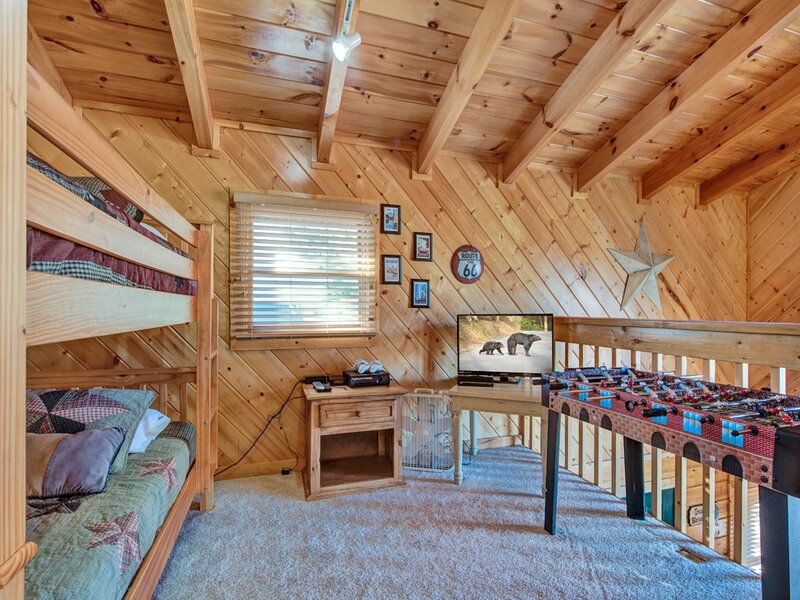 The loft area has twin-size bunk beds, so another 2 people can sleep up there. 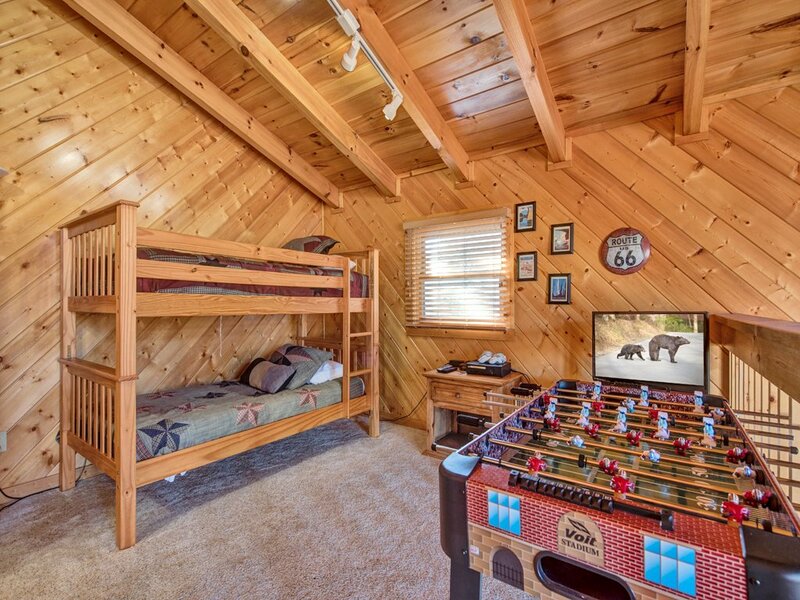 The kids will rush to stake their claim, as the loft is also home to the foosball table and another flat-panel TV. 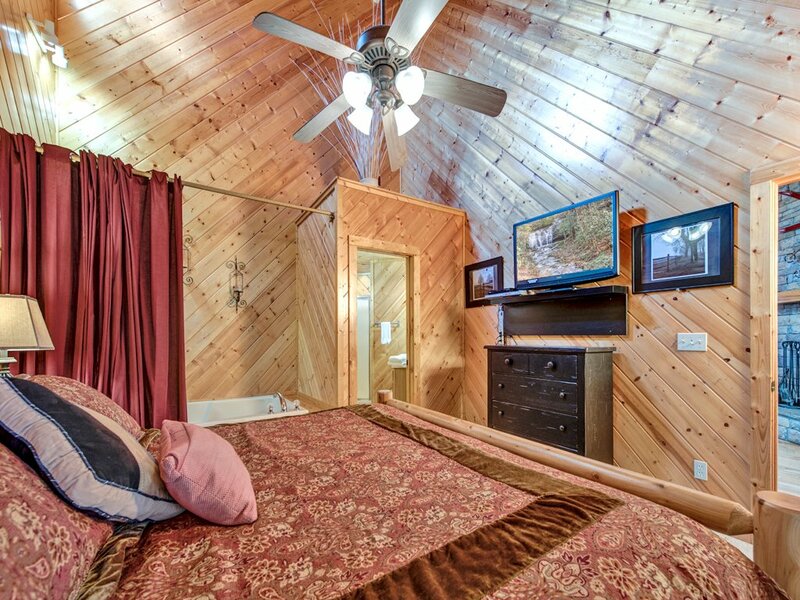 There's a full bathroom up there as well, making the loft a suite unto itself. 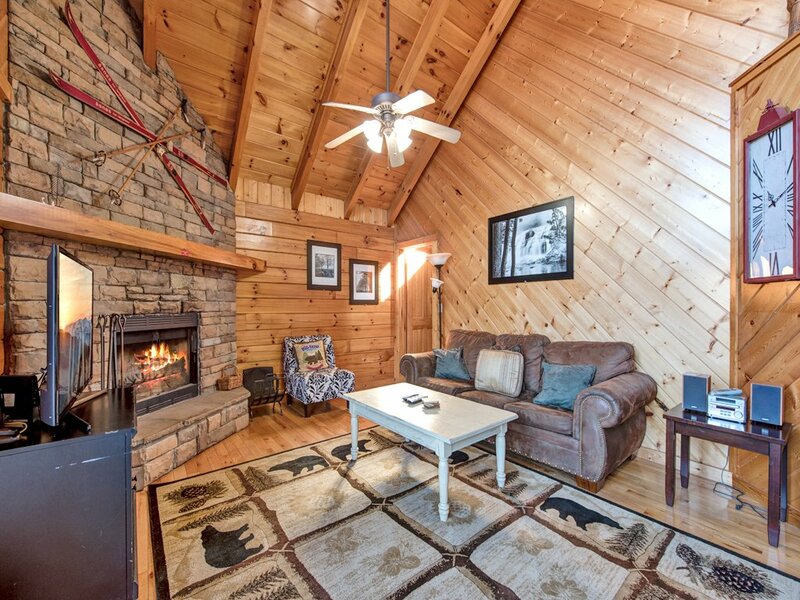 Have still more guests to accommodate? 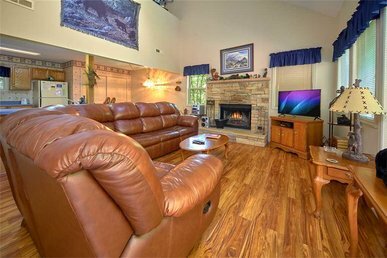 No worries: The marvelously comfortable sofa in the living room converts to a bed for 2. 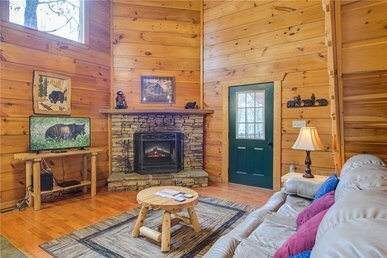 Guests who sleep here have the advantage of a 51” flat-screen TV and the stone-surround gas fireplace—just the thing for chilly winter evenings (or for creating a romantic ambiance). 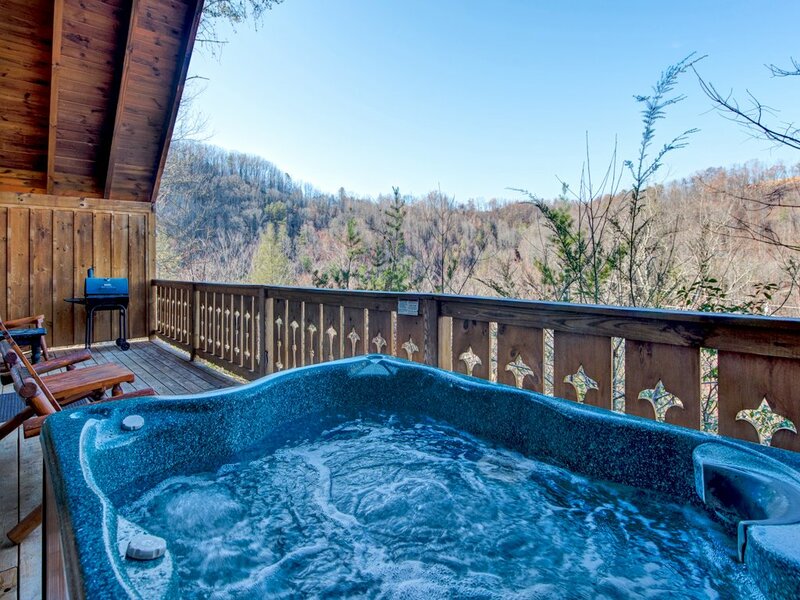 Speaking of romance, check out the large hot tub on the rear deck. 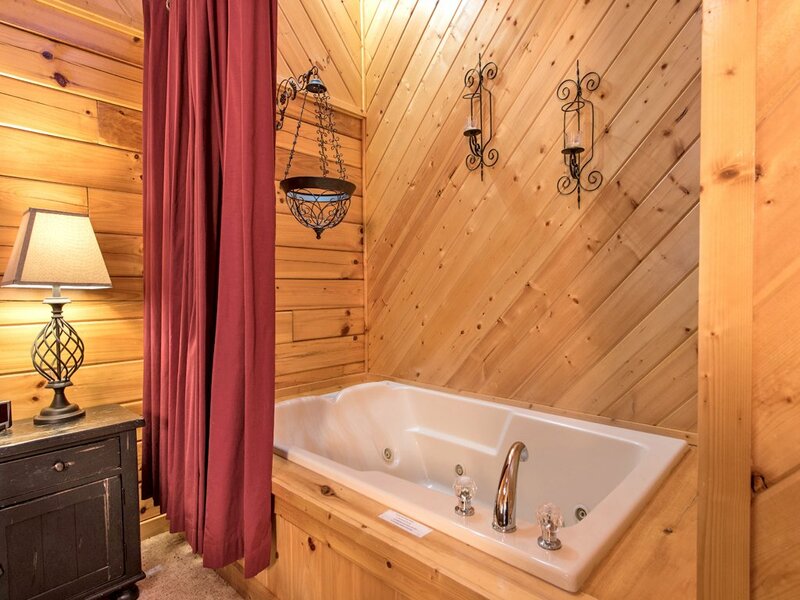 Of course, a long soak is also a fabulous way to ease tired muscles after a day of hiking or biking, golfing or walking the grounds of Dollywood. 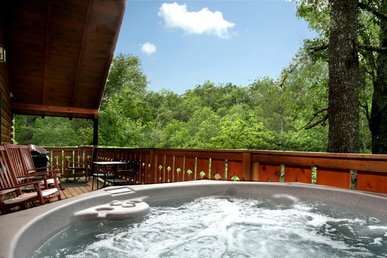 If you're not in the mood for a hot-tub session, you can relax on one of the deck's rocking chairs; you just might drift off to sleep while listening to the leafy tree branches rustling in the breeze. 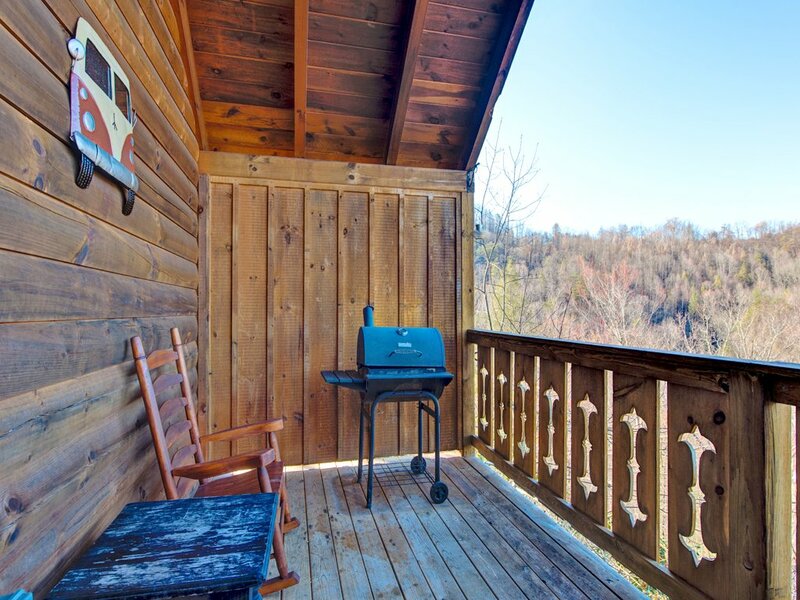 Another of the deck's amenities is a gas grill. 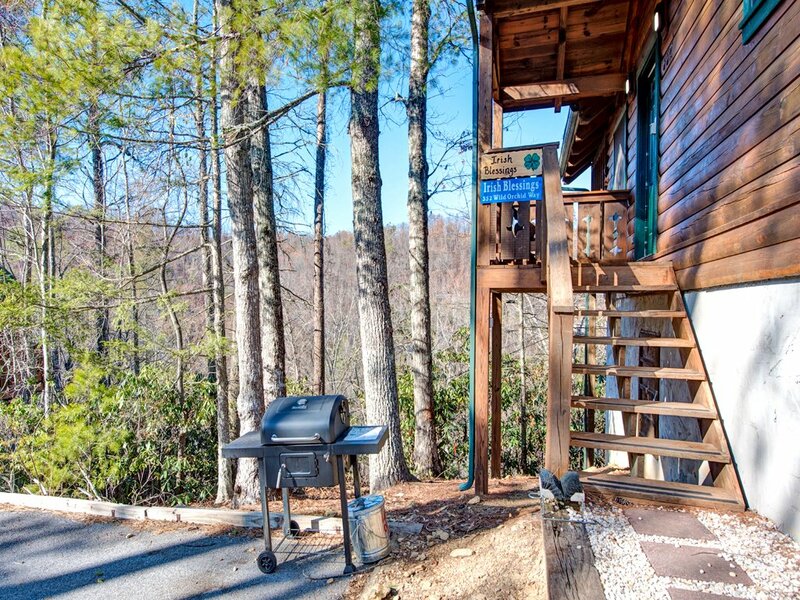 If you reel in some trout on a fishing expedition, you can grill it right out here. Then again, everything, from hot dogs to corn on the cob, tastes better when cooked outdoors! 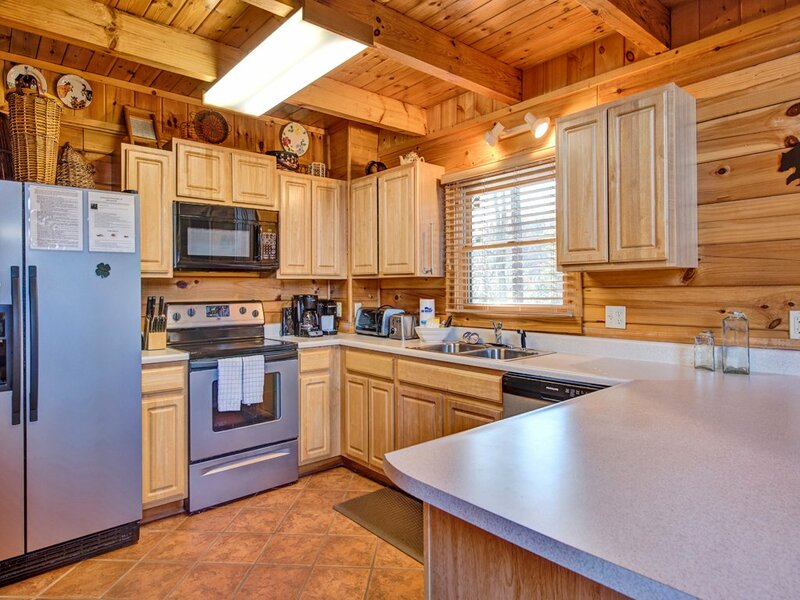 There's a fully equipped kitchen indoors as well. Whether you plan to prepare a multicourse holiday feast or simply brew coffee and make PB and J sandwiches, you'll find all the cookware, tableware, and appliances you need. 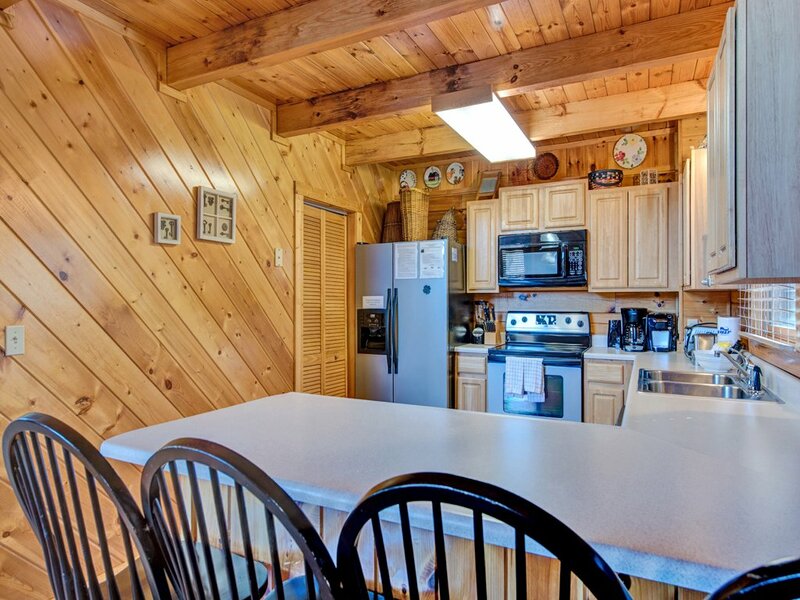 The extensive counter also serves as a breakfast bar, if you'd rather enjoy a quick snack there rather than at the log-style dining table, which comfortably seats 6 people. 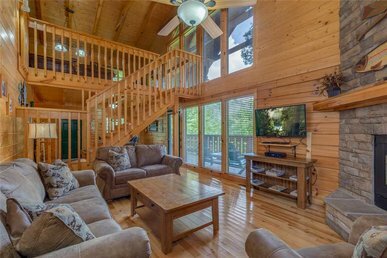 If your idea of a vacation entails no cooking at all, you'll be happy to know that Irish Blessings is just minutes from downtown Gatlinburg, where you can dig into a juicy steak one night, barbecue ribs the next, and everything from pizza to pancakes in between. 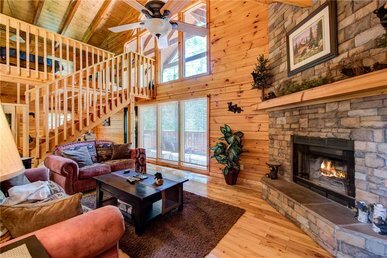 Besides eateries, Gatlinburg offers mini golf, an aquarium, and plenty of other attractions. 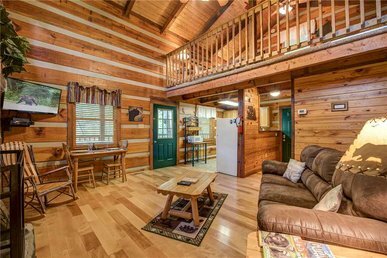 The cabin is also close to Pigeon Forge, home to more restaurants as well as Dollywood, go karting, zip lining, and outlet shops. 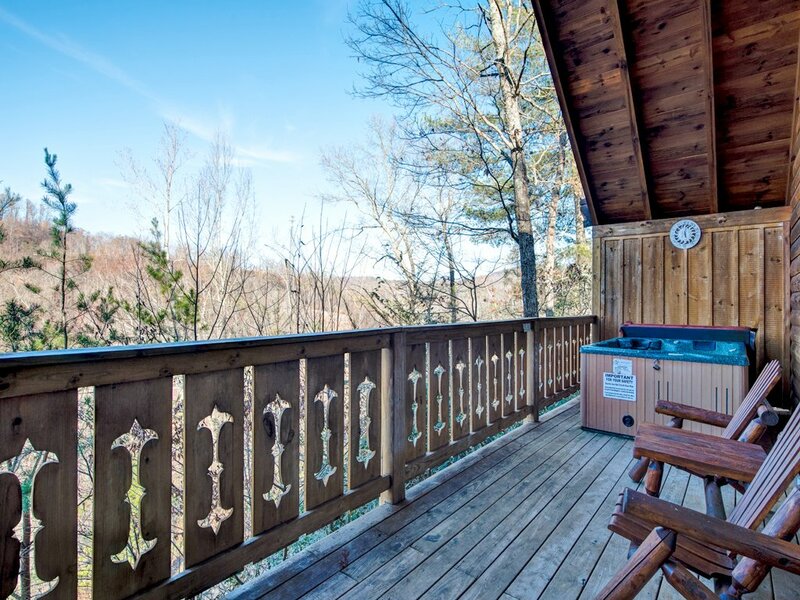 And let's not forget the Great Smoky Mountains National Park, the country's most popular, with its hiking trails, waterfalls, wildlife, and wildflowers. 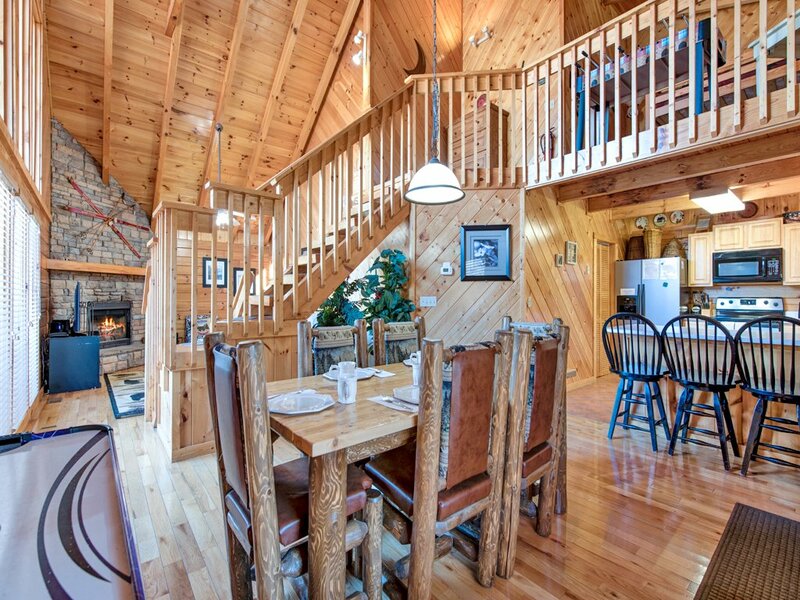 Irish Blessings is a perfect home base for a perfect vacation, whether your preferences run toward peace and privacy or flitting from one activity to another. 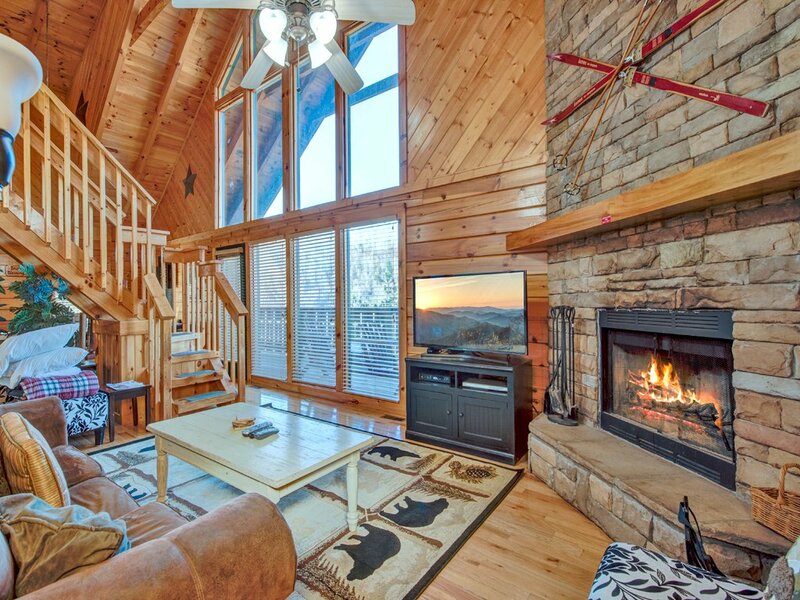 So book your stay today, and start planning how you'll spend your getaway.